When I set a table for guests, I always try to add something unexpected to the setting. Sometimes, it’s as simple as adding a hint of greenery. 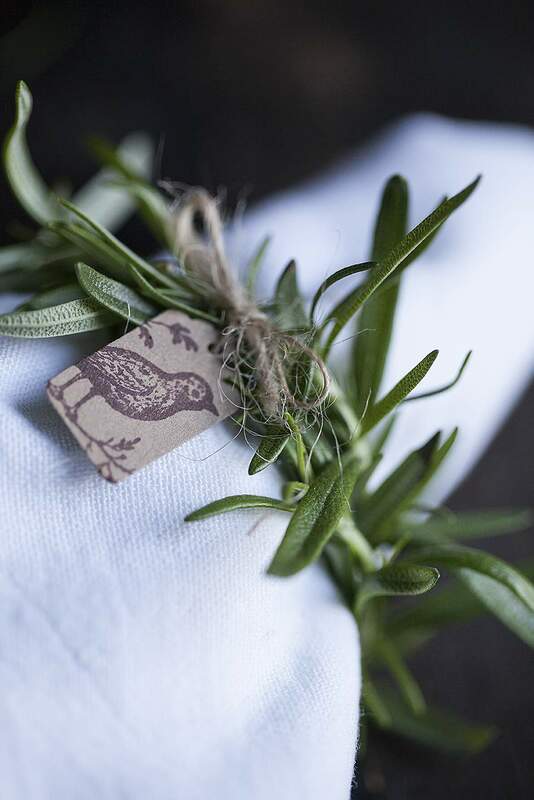 That’s what I had in mind when I made these fresh Rosemary napkin rings which are easy to make and can add a touch of herbal whimsy to any lunch or dinner table. I typically grow a large assortment of herbs in the Spring and Summer months. However, I enjoy maintaining a handful of select herbs for small-scale, indoor Winter gardening. One of the things I like about Rosemary (aside from its aroma) is that it grows in long stems that you can use for lots of other kinds of presentations. The slender, slightly floppy leaves look good with just about anything you pair them with. If you missed how I used Rosemary to embellish my New Year’s cheese ball gifts a few weeks ago, you can see that post HERE. You’ll only need a handful of other items for these napkin rings including, flexible floral wire and some matching thread. 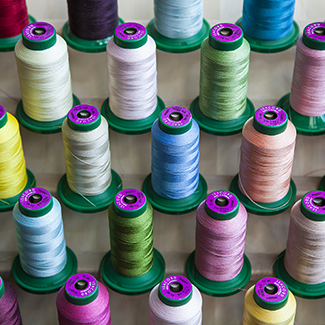 You can find this thin wire in many colors at your local crafts store in the floral or bridal accessory aisle. Green wire is better suited for this project since that blends-in better with the Rosemary. 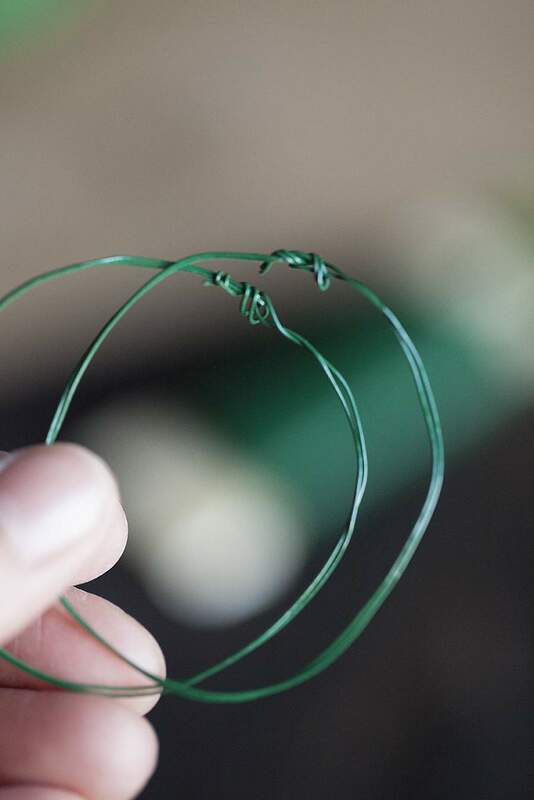 Snip a piece of floral wire and shape it into a circle. I suggest you cut a piece of wire that’s long enough for you to double it to provide a little more strength to the ring. Once you’ve determined your ring size, twist the wire ends on both sides and wrap over them back over the shaped circle. NOTE: If you have a pair of pliers you could also squeeze the ends tightly so there are no pointy tips that may stick out. Or you could also flatten any pointy ends by pressing the ends down on a hard surface using a butter knife. Cut the Rosemary close to the base so you’ll have a nice long stem to work with. Drape the Rosemary over the wire and gently tie it in place with the thread. Try to tie the string directly onto the stem rather than on top of the leaves. In the end the leaves will drape a bit and help conceal the string. You’ll probably need more than one Rosemary stem to get around whatever size circle you create. Even if one stem covers the wire, I suggest you use another stem to make the ring wonderfully thick and full with leaves. You don’t have to add anything to the Rosemary ring once you’re finished but I think a little tag is super cute. I’ve used this particular rubber stamp set many times over the years and if you don’t already have a mini-tag punch in your stash, consider adding one (you’ll use it over and over again). You can always label your rings with your guests’ name to identify table seating. Tie the mini tag around the Rosemary ring and top it with a bow. These are so fast and easy to make, I suggest you make them on the day you plan to use them so the rosemary is still fresh and fragrant. If you make them in the morning for an evening dinner, I suggest you store them on a damp paper towel in the refrigerator until just before you’re ready to set the table. Now, how lovely is this ring against the crisp, white linen napkin? I think this adds a perfect touch of nature to your lunch or dinner table setting. Your guests will like them too. Beautiful ~ and I love the fragrance of rosemary! Thanks Pat. Hope you get a chance to make your own rosemary rings. I think you (and your guests) will enjoy them. How clever! I love rosemary, and that pop of fresh green herb is especially wonderful in winter. Thanks for the great idea. Thanks so much Jae. Happy winter.